Thursday, February 7, at 7:00 p.m.
Tamidra Marable is a proponent of change. 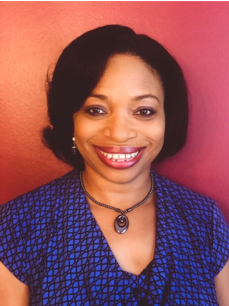 A graduate of the Applied Communication Master’s program at the University of Arkansas at Little Rock and member of the Department of Applied Communication Alumni Board, Tamidra began her career with a “go with the flow” mentality. Twelve years ago, she took a chance and applied for a job at Heifer International, a nonprofit organization dedicated to ending hunger and poverty by helping to build sustainable livelihoods within farming communities. Now, she serves as a Performance Initiatives Leader, leading and facilitating special projects that impact both organizational and employee performance. She focuses primarily on special project work, and her ability to embrace change makes her ideal at leading initiatives within the company. Tamidra firmly believes that students should feel free to “just try things.” She has been brought in by professors to speak to students on this topic. “That’s one thing I noticed a lot of students are anxious about,“ she states. They tell me, “I don’t have this figured out. I don’t know what I want to do.” This, along with the work she has done within Heifer, led her to her topic for the upcoming Department of Applied Communication’s Leadership Lecture on “Leading Transformational Change,” on Thursday, February 7, at 7:00 p.m. in the Donaghey Student Center on the UA Little Rock campus. In her work as an organizational change agent, she recognizes the world is changing so quickly that it requires both people and business to take a more strategic approach to manage change. This session will explore transformational change through practical examples that focus on skills needed and tools that support leading transformational change initiatives. For more information on this lecture and to reserve tickets ahead of the event, go to ualr.at/leaderlectures to register.